"Reflecting on the geography of food in the 20th century: Just a map?" Plato would have thought that "you are what you eat". Food distinguishes people, and it represents contemporary trends in society. Additionally, the 5th annual meeting of the UNESCO Chair World Food Systems concluded that food possesses cultural and aesthetic characteristics, and is experienced for pleasure and as a daily chore; it represents an extension of the self, where the boundaries go beyond the realm of the physical body. In an era of globalisation, how can we define ourselves by what we eat? Faced with a discourse around the homogenisation of food cultures, the phrase "you are what you eat" seems out of place. Does self-discovery mean researching the geography of our food? SIAL takes a closer look. From a consumer's perspective, the response seems unanimous; in a world where any flavour can be found, a product’s origin and source have become essential information. An exclusive and unprecedented survey called "Food 360", carried out by Kantar TNS for SIAL, found that almost 68% of the French pay more attention to the origin and source of products. "You are what you eat" should compel us to better understand the journey our food makes. The challenge is that in a globalised world where seasons have lost significance and distances have become smaller, it is increasingly difficult to understand the food production chain. 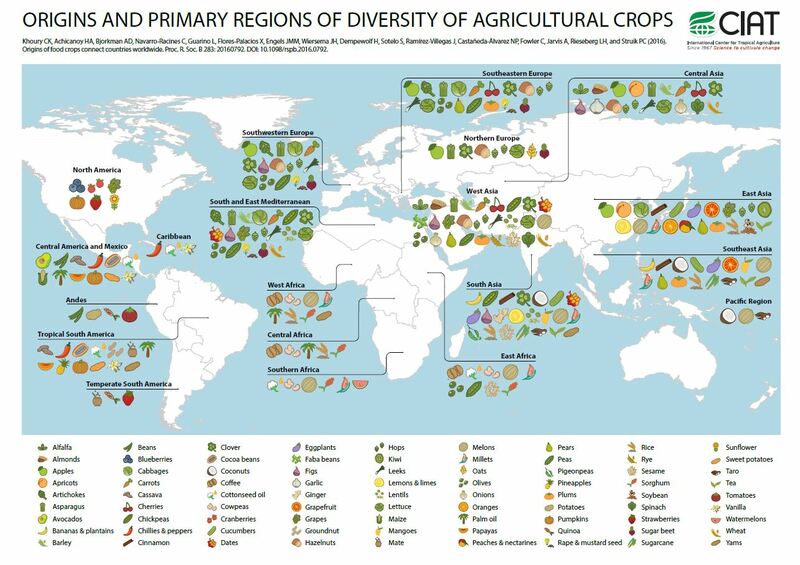 A group of researchers from the International Center for Tropical Agriculture (CIAT) recently conducted a study on the geographic origins of our food crops. It was discovered that nearly 70% of our main food products are of foreign origin. Importing food has grown steadily for the past fifty years, even in countries with high agricultural diversity. Discover success and perception of ethnic cuisine. The CIAT also studied whether exports play a role in our current diet. The conclusion is that if you're American and you think you can use the phrase "as American as apple pie", then you're wrong! Apple pie is actually closer to being Asian or European. The United States' agricultural economy actually depends on East Asia, Mexico, Central American and the Mediterranean. "You are what you eat" sounds a bit more complex when looking at the map! Discover what these interactive maps and graphs tell us about our geography here.